More than 70% of all patients start their search for a new dentist on Google; if you're not there then they can't choose you. The internet has changed the way people communicate and learn about products and services, it is part of everyone's lives; failure to have an effective online presence can have a detrimental effect on your practice. Every website we create is different and designed with every individual client in mind. Unlike any other form of advertising, a website is the most accessible form of customer-facing marketing in the modern world. Whether it's a basic multi-page brochure site or a full Content Management Solution, our collaborative approach to web design and development is tailored to ensure that your site integrates seamlessly with every aspect of your brand and marketing efforts. 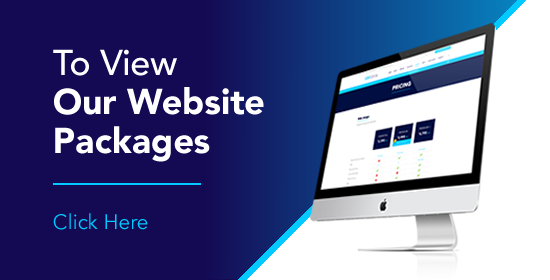 The goal is to create a great looking website while still allowing website visitors easy access to the information they are looking for - making a positive impact on your practice. Our websites respond to all devices to ensure maximum conversions and visitor satisfaction. Responsive website design is built into our web packages, we don't charge extra! Your website responds to different screen sizes. Patients visiting your website on their laptop, tablet or phone can navigate easily. It can drastically improve user experience. A responsive website is important because the number of people using their mobile phones and tablets rather than using computers is increasing rapidly. If your website is not responsive, people using their mobile phone will have to zoom in and navigate their way around - damaging User Experience (UX). Responsive web design can keep people on your website for longer and therefore increase your chances of conversions. When people go on a website, it takes only 7 seconds for them to decide whether they are going to stay on the page or leave. Having a responsive design along with other factors such as content, increases your chances of people staying on your website thus converting new patients. Remember, good content creates VALUE for your practice. Put yourself in your patient's shoes, we write content with the end reader in mind. Patients are not only looking for you between 9-5pm so you should be selling 24/7; we write content that increases patient acquisition. Our 'in house' copywriters are dedicated to creating inspiring and descriptive content to suit all clients. Content marketing creates social engagement and credibility, raises your online profile and ultimately impacts the number of patients walking through your doors. We can write content for your website, brochures, social media and any promotional materials you might like to use. We will speak to you to get a feel for your practice, see how you communicate and match your personality within your marketing materials to keep your messages consistent and correct. By accessing a secure section of the website using a username and password, you can make rapid changes to your website. Content management enables a website administrator to edit or create site content and imagery such as latest news or PDF downloads. Having the ability to maintain the content on your own website is a great way for you to take control of your own website. If you chose a CMS website we will train you to ensure you can make updates and changes in your own time quickly and easily. Want to make content/image updates in your own time. Need website updates several times a month. Want to maintain a blog or news section. If you have any questions about content management, or you're not sure if it's right for you we can help. Get in touch with us today.